Discussion in 'Pin Showroom' started by jprincess, Apr 11, 2018. My Little Mermaid/Tangled board is complete! If I decide to collect anymore of either I might have to make an individual board for each. But for now I’m happy with my collection. Ariel-If you zoom in I tried to tell the story of the Little Mermaid with pins! Each row I tried to include pins that would support the main story. 3. Ariel alone on a rock dreaming of her Prince. I hope that somewhat made sense. It makes sense to me but I also know where I put all the pins at on the board. 2. Flashback. Rapunzel as a baby. 3. Rapunzel kidnapped and looks out the window at the stars. 5. Rapunzel draws her dreams. 6. Rapunzel meets Flynn and asks to go see lanterns. Flynn becomes Rapunzel’s new dream as they adventure together. 7. Rapunzel’s relationship with Flynn grows. My rapunzel grail would be the ACME jumbo of her drawing in her room. Nasubionna, mickeymousje, LunarianLight and 3 others like this. I love that Ariel and Eric with baby Melody pin. So many beautiful pins to add to my daughter's Wants list. Thanks for sharing! Aw, I love the idea of telling the story with your pins! What a beautiful collection. They really pop against the dark background! jprincess and watzshakinbacon like this. Nice! I love the display! Great display and even better story. That's a beautiful board, congrats! 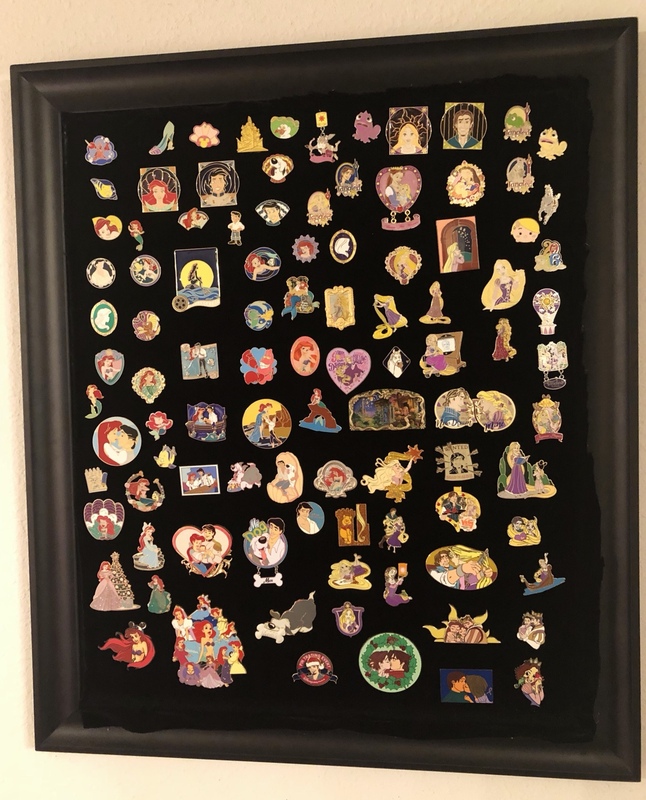 You have a beautiful collection, and I love the way you decided to arrange all your pins. It looks really nice. Good luck with those jumbo pins too! Nice collection I love both of those Disney movies and the pins are beautiful!